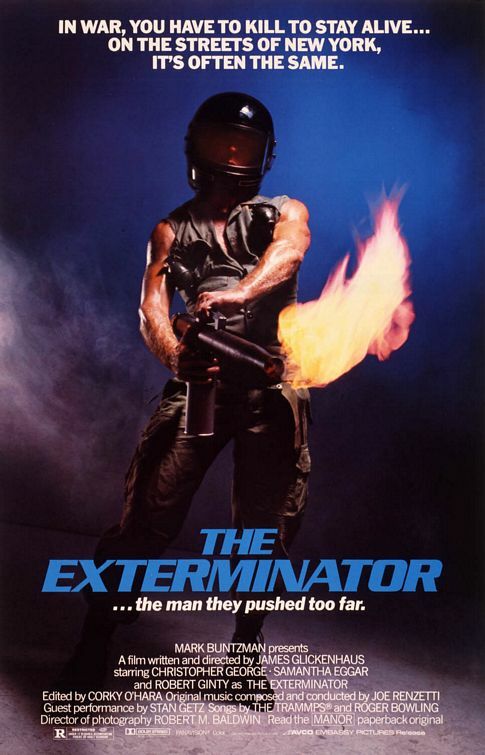 The Exterminator is the older, more brutal big brother of Death Wish. Where Charles Bronson only kills people quickly and gets away to fight another day, the exterminator goes to work. He's more creative in his murders. Like an urban McGuyver, he uses whatever tools he has at hand and turns his foes into minced meat. He doesn't give second chances. He knows not the meaning of mercy. He exterminates the problem. And keeps the city safe, for you.